Here is a modern grimoire and record of a vision quest utilizing Aleister Crowley�s instructions for astral exploration as given in �Notes on the Astral Plane,� published in Magick in Theory and Practice. 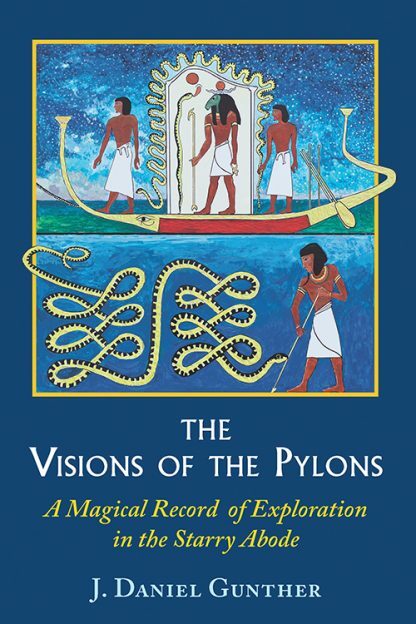 Daniel Gunther provides a detailed account and interpretation of a series of visions exploring the Pylons of the Duat, or �Starry Abode.� To the ancient Egyptians, the Duat was the place where the sun god Ra made his 12-hour nocturnal journey through the underworld. The Visions of the Pylons describes a perilous journey where the gate of each hour is protected by a fearful guardian or �watcher.� In modern Jungian psychology terms, the Duat is a representation of the unconscious of mankind, inhabited by gods and daemons, the living symbols called primordial images or archetypes. The author�s study of the ancient texts led him to suspect that these Pylons were also hidden gateways to the higher planes of the Tree of Life, possibly including secret entrances to the thirty Aethyrs as described by Elizabethan magician John Dee. J. Daniel Gunther is a life-long student of esotericism, mythology, and religion. For over 40 years he has been a member of A...A..., the teaching order established by Aleister Crowley. He is the author of the Ibis Press titles, Initiation in the Aeon of the Child and The Angel & the Abyss, and has lectured worldwide on the doctrines of Thelema.